North West is all over the fashion headlines again after she attended the Balenciaga fashion show tonight with her parents, Kim and Kanye West. 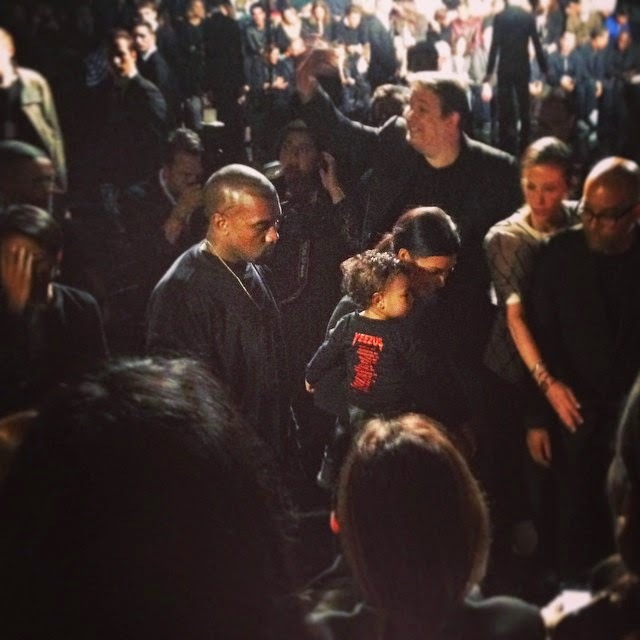 The one-year-old was dressed all in black for the show as part of the Paris Fashion Week. 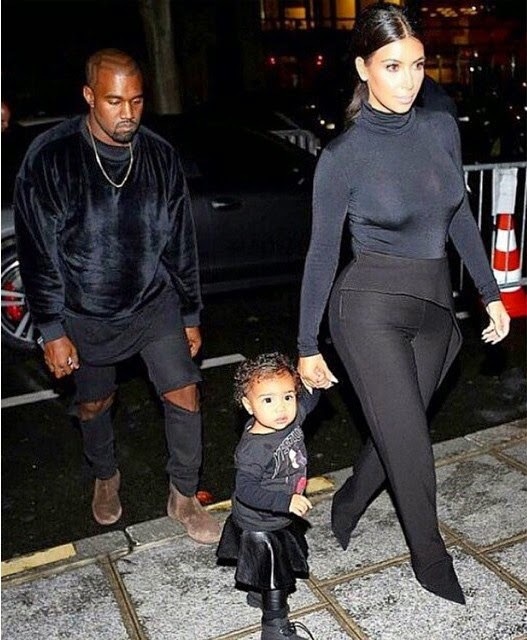 With the whole family matching in black, [see pics of Kim and North West matching here] the adorable little girl wore leather trousers, black skirt, black boots and a her daddy's Yeezus tour top. 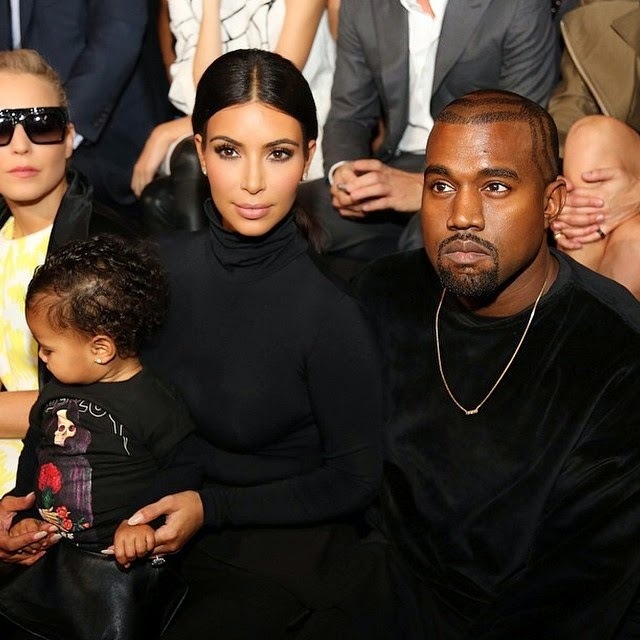 And guess what, Balenciaga baby was sitting right in the front row! Look at the child's t-shirt. They have definitely crossed over to the dark side.